The selling-point of UAF till now might have been direct interaction between artists and the aficionados. A view of last year’s United Art Fair. Started about two years back, as a platform “for emerging artists without a middleman” the United Art Fair (UAF) now has a new director and a new objective. “The business of art needs to be promoted and for me it’s important to make it more commercially viable,” says Riya Diwakar, Delhi-based investment banker who has acquired the event from Anurag Sharma of United Arts Logistic Private Ltd. The selling-point of UAF till now might have been direct interaction between artists and the aficionados, but Diwakar intends to change that. The fair, to be held in October this year, will now invite galleries — both domestic and international. Solo projects will be a platform to recognise emerging talent as well as established artists and a video programme will be introduced. The one lakh sq feet space will have some space reserved for individual artists. “Earlier, the focus was on emerging talent but now I want to have works of prominent artists, people need to know what is out there,” says the Oxford graduate, whose exposure to art began with purchases she saw her family make when she was a child. Her first acquisition was a FN Souza, purchased in 2007. “I have grown up with art. Now I own a Paresh Maity and Satish Gujral among others,” says the 29-year-old. Meanwhile, some things at the UAF will not change. So the curatorial team will remain the same, with Peter Nagy as the Artistic Director and the team comprising Alka Pande, Ram Rahman and Meera Menezes among others. 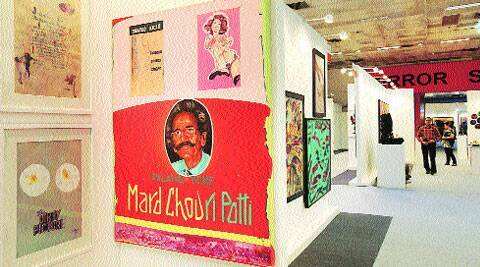 How will the UAF be any different from the more popular India Art Fair? “What matters is our love for art. We will do the same things differently,” promises Diwakar.